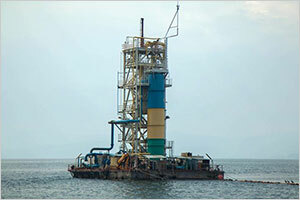 Rwanda’s energy targets are set to get a boost following the government’s decision to provide a concession to a private investor to start production of methane gas from Lake Kivu. On Monday, a cabinet meeting chaired by President Paul Kagame approved the decision that allows Rwanda Development Board (RDB) to enter concession and implementation agreement with Gasmeth Energy to extract methane gas. It was not immediately clear how much the new firm would be injecting into the extraction exercise or how much energy they are looking at putting to the national grid. Government wants to provide energy access to all Rwandans by 2024 under the country’s transformation agenda. Gasmeth Energy is the latest private player in the energy sector, particularly in the production of methane gas at Lake Kivu. There are already two private investors that currently extract methane gas from Lake Kivu; Contour Global and Symbion Power. Contour Global’s KivuWatt Project currently produces 26.4MW with plans to produce 100 megawatts during its second phase of work, while US-based Symbion Power owns two plants all of which are located at the shores of Lake Kivu. According to the information from the Ministry of Infrastructure, Kibuye Power (KP1) located in Rubavu district has been generating around 3MW of electrical power with the design capacity of 3.6 MW. The Kivu 56 project, on the other hand, is planned to supply 56 megawatts of power into Rwanda’s grid under a 25-year concession. It plans to generate 56 megawatts of power. The power plant will be located on Nyamyumba sector in Rubavu District. KP1 originated as an earlier pilot project while Symbion acquired the plant in 2016 to upgrade it from 3.6 megawatts to 25 megawatts. Symbion Power said last year that the upgrade is expected to be added to the country’s grid system under a separate 25-year concession. Meanwhile, the Methane in Lake Kivu is estimated to have capacity to generate 700 MW of electricity over a period of 55 years. Rwanda’s share of the total generation potential is about 350 MW, with the rest being the share of DR Congo.